Nobody loses weight in the exact same manner, so a weight loss clinic should provide a variety of effective weight loss treatments. The Denver weight loss clinic, Cherry Creek Medical Weight Loss, offers individualized and customized treatment plans that fit almost every need. 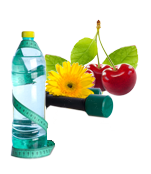 If you are like most people, you have tried countless diet and exercise programs. Some helped you lose a lot of weight but were just too difficult to maintain – ultra-low calorie diets left you hungry while crazy exercise plans drained your energy and time. Other plans helped you lose weight at first but then you saw the pounds creeping back. This lack of success is not your fault – the program failed you and not the other way around. You need a medically supervised weight loss program that helps you lose weight and keep it off without starvation or excessive exercise. A Denver weight loss clinic offers the medical supervision you need to lose weight right away, keep it off, and create a sustainable weight management system that keeps you at your optimal weight forever. Phentermine programs kick start your diet. When used as directed by a doctor from your local Denver weight loss clinic, you lose weight more quickly than you could with diet and exercise alone. A short course of phentermine provides big results – most people take phentermine for only three to six weeks, depending on how well their bodies respond to the medication. This is just enough time for your stomach to shrink so that you feel full after eating smaller portions of food. Phentermine is in a class of drugs known as anorectics. These drugs suppress your appetite by acting directly on your nervous system. Phentermine “turns off” your appetite and makes you feel full longer after a meal. Anorectics help you stay on your diet during the critical first few weeks of your diet, while you lose enough weight to make the diet and exercise seem worthwhile. Phentermine programs are most appropriate for overweight people in the early stages of weight loss – you will probably take phentermine for the first few weeks of your diet. You should take phentermine for only a short time and only as directed by a physician, as this drug can be habit forming. Consult with a weight loss specialist to find out if phentermine is right for you. He can help you determine the proper dosing schedule along with the right diet and exercise plan to maximize your weight loss. The OPTIFAST diet program is a whole-person approach to weight loss. This comprehensive weight management system combines medical monitoring with meal replacements and patient education to create an effective and sustainable weight loss program. The OPTIFAST diet program offered by Denver weight loss clinic might be right for you if you have a body mass index, which calculates the amount of body fat based on your height and weight, greater than 30. The OPTIFAST diet program features three phases – an Active Weight Loss Phase, a Transition Phase and a Long-Term Weight Management Phase. The first phase lasts 12 weeks in which you replace all your meals with OPTIFAST products. You transition to cooking your own meals during the Transition Phase. The highly trained weight loss specialists at this Denver weight loss clinic will help you make long-term lifestyle changes during the final Long-Term Weight Management Phase. According to the OPTIFAST website, the average patient loses more than 50 pounds in only 18 to 24 weeks. The Ketogenic Weight Loss Program is high in fat, contains adequate protein, and low in carbohydrates. The diet forces your body to burn fat as a source of energy rather than using carbohydrates as fuel. Normally, your body converts carbohydrates into glucose to power your cells, including the cells in your brain. If your body does not have enough carbohydrates to convert into glucose, however, your liver will convert your body fat into fatty acids and ketone bodies that your cells can use for energy. Many of your organs, such as your brain and your heart, actually function better on ketone power than on glucose-based fuel. Scientists from Mayo Clinic created the Ketogenic diet in 1924 as a treatment for epilepsy. The doctors prescribed the original diet to children suffering from seizures. This original diet provided just enough protein for body growth and repair, and only enough calories to maintain the correct weight for the child’s age and height. The diet excluded all foods high in carbohydrates, such as starchy fruits and vegetables, pasta, bread, grains and sugar, and included copious amounts of fats, including cream, butter and nuts. While the diet still works to reduce seizures, most doctors now use drugs to control epilepsy. Today’s scientists recognize the ketogenic diet as an effective weight loss program. In fact, a June 2013 paper in the European Journal of Clinical Nutrition said there was strong evidence that a ketogenic diet was an effective weight loss treatment for people who are overweight or obese. When you maintain a very low carbohydrate diet for a long time – a week or two – your body enters a state known as ketosis, where it becomes accustomed to operating on ketone fuel instead of glucose. Sometimes this transition can cause symptoms, such as feel fatigue, weakness, light-headedness, headaches and mild irritability. The professionals at this Denver weight loss clinic can help you manage your symptoms as you pass through this transition period to achieve a ketogenic state. Today’s ketogenic diet typically caps carbohydrate consumption to 50 to 60 grams per day but your carbohydrate intake might be different to maintain your ketogenic state. If you are an athlete, for example, a doctor at a Denver weight loss clinic might increase your carbohydrate consumption to 100 grams daily. On the other hand, he might reduce your carbohydrate intake to 30 grams in a day if you are an older person with a sedentary lifestyle. The Ketogenic Weight Loss Program changes your body’s source of fuel in a way that alters your metabolism and causes weight loss. This diet is also highly sustainable – many people continue a ketogenic diet long after they achieve their optimal weight. Each of the programs offered by this Denver weight loss clinic are viable means to lose an exceptional amount of weight in a very short time, but not every program may be right for you. You may prefer to eat the prepared OPTIFAST meals, for example, rather than preparing your own ketogenic-friendly foods. Your personalized weight loss program depends largely on the amount of weight you want to lose, your current metabolism, and your personal taste in food. The specialists at your Cherry Creek Medical Weight Loss will listen to your needs, help you assess your goals and create a personalized diet plan that is both effective and sustainable. They will perform a thorough medical exam and all the necessary laboratory work to ensure the weight loss plan will also be safe. Our Weight Loss Clinic provides the tools and the personalized guidance you need to lose weight today.